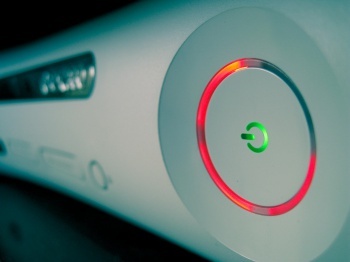 GameStop's R&D team may have found a way to fix Xbox 360's with the Red Ring of Death, then resold as refurbished units. The Red Ring of Death was one of the most frustrating issues faced by Xbox 360 owners, and a disappointingly common one at that. It occurred whenever a connection between the chip and motherboard failed, causing red lights around the power button and (usually) bricking the entire console. Depending on which console model you picked up, there was a very strong chance these lights meant your system needed to be replaced. But according to a report from Bloomberg Businessweek, GameStop developed a method to temporarily fix red ringed Xbox 360s since 2009. What's more, the report claims GameStop was turning around and reselling the systems as refurbished devices. The information is a minor detail within a larger story about GameStop operations. When discussing GameStop's refurbishment center, it's revealed that R&D technicians realized they could repair a red ringed Xbox 360 by heating the top of the device while cooling it from below. Doing so restores the connection to the motherboard, and can be carried out by a laborer working at about $10 an hour. If accurate, that means GameStop was in a prime position when reselling consoles that were originally considered to be beyond help. While GameStop's policy as of 2012 was to not accept trade-ins of Red-Ringed systems, there are ancetodal reports that local storefronts accepted the units for $85 store credit. The real question is how effective GameStop's fix is. Most homebrew fixes to repair a Red Ring error, if they work at all, are usually temporary and only last for months at best. Since the repair method Bloomberg describes doesn't require part replacements, this sounds like it wouldn't last much longer either. On the bright side, standard warranties for refurbished systems can be extended for up to a year with a little extra cash.